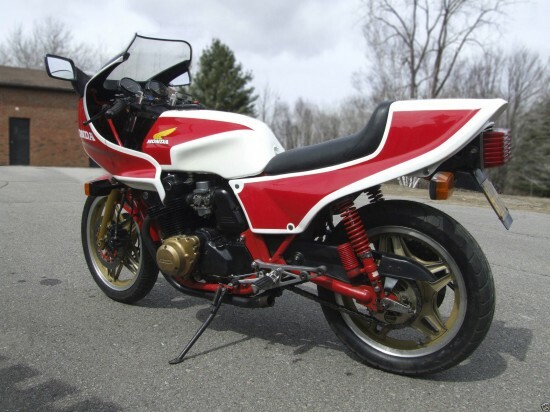 This Honda CB1100 needs a bit of work, but is rare enough to make it worth while for the right buyer. I try not to post up too many project bikes here, but this one is pretty cool, pretty handsome, and pretty complete. Unfortunately, being rare and collectable, the original parts needed to complete it might cost as much to replace as some really nice aftermarket or custom parts from Sanctuary… I mean, have you seen their custom exhausts? 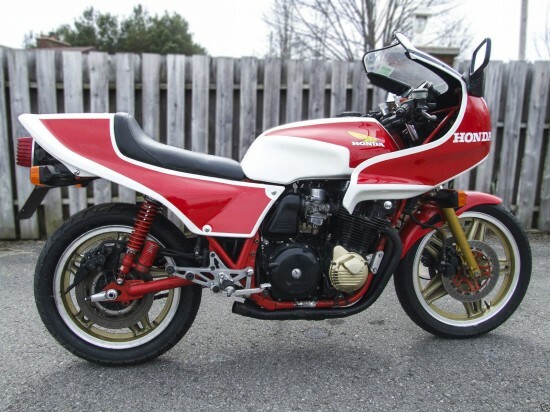 The Honda CB1100RB was designed as an homolgation special, and just over a thousand were sold in 1981. Powered by a 1062cc version of Honda’s air-cooled four, it made 115hp and weighed a claimed 520lbs dry, so it was no lightweight. But it was dead stable at speed and fast enough to take the fight to Kawasaki and Suzuki on track. A classic Honda hot rod with tons of upgraded internals, a reinforced frame to counter the usual bendiness of these big bikes, and Honda’s first use of dual-piston calipers to bring the beast to a halt quickly, everything was geared towards endurance racing, so this isn’t simply a bored-out 900 with racy bodywork slapped on. 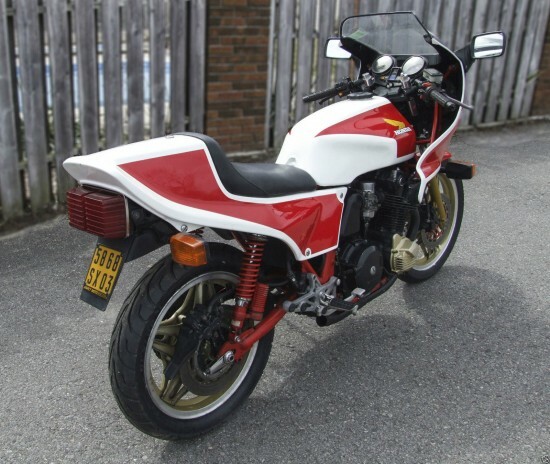 This bike was imported from France as part of my personal collection currently supplied with import papers a bill of sale and original French documentation, I can provide a new clear registration if required at buyers cost. 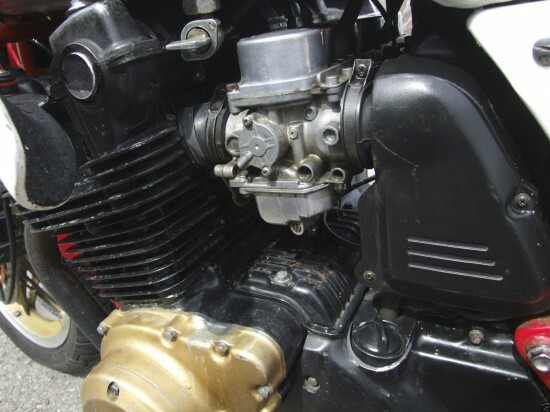 There are 64748kms on the bike but it has been relatively well looked after, there are some issues as described below. The fairing has been modified and as such is incorrect. The downpipes/headers are original but the silencers are not present. There are missing fins on the barrels and some screwdriver damage the cylinders and cases (some people!!!!) but these can be repaired. 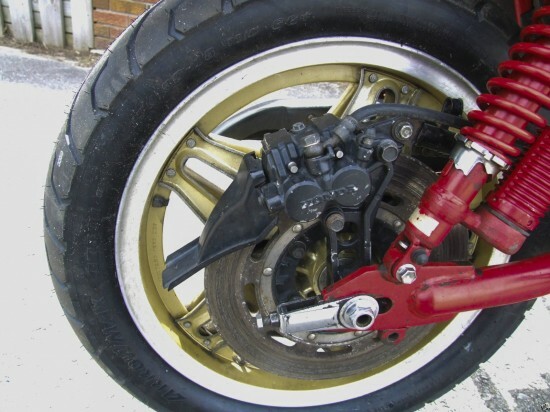 There is a new battery installed and new rear tyre. In all I would consider this to be a restoration bike but it is complete, and a good starting point. 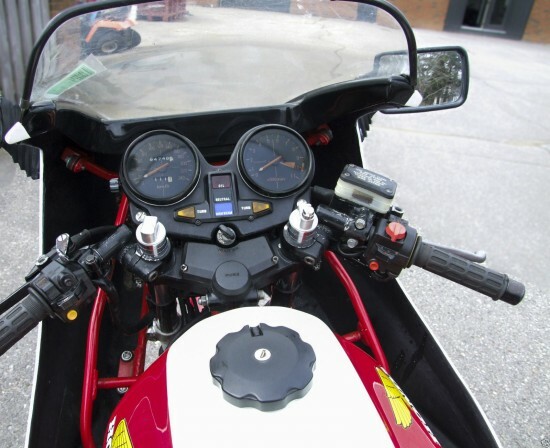 There’s also a video of the bike running: Honda CB1100RB start and run. These were never officially sold in the USA, and this one is hiding up in Canada at the moment. As always, do some research if you plan to register this for road use in the USA. If you’re just fantasizing, don’t worry about it. Here’s a good unrestored , reasonably unmolested example on the other side of the world , even has original pipes . how mutch is it for sale for if its still for sale many thanks pawel .